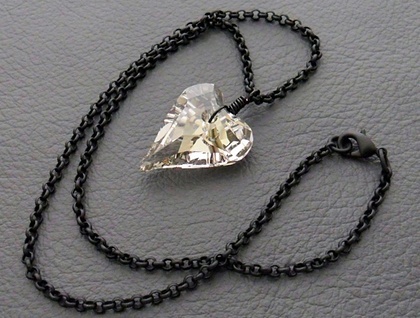 One glittering Swarovski heart pendant, in a colour called 'silver shade', is showcased on a simple black chain. 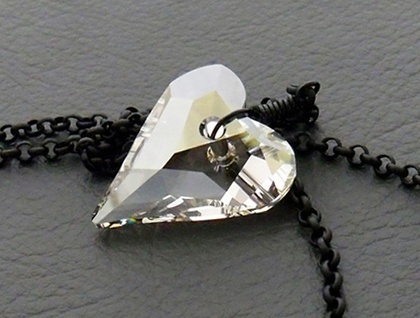 These Swarovski crystal heart pendants vary in shade depending on the light. The ‘silver shade’ colour can seem silvery grey, pale silver, or almost clear. 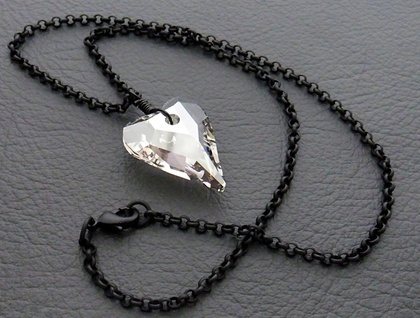 These shifting hues, along with the brilliant sparkle for which Swarovski crystal is known, and the little rainbows that these crystal pendants throw when the light is right, make simple but stunning jewellery. 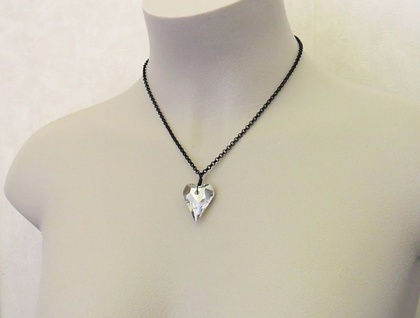 The 'Rainy Heart' necklace measures 45.9cm, including the lobster-claw clasp, while the heart pendant measures 27mm lengthwise, not including the wire-wrapping, and 22mm across at its widest point.